Russia launched another secret cargo for a foreign client -- this time South Africa. Kondor-E satellite built by NPO Mashinostroenia in Reutov near Moscow provides all-weather, day-and-night radar imagery for the South-African military. The hush-hush Kondor-E mission followed seemingly successful launches of a Russian-built spy satellite for Egypt and a demo version of the Kondor satellite. 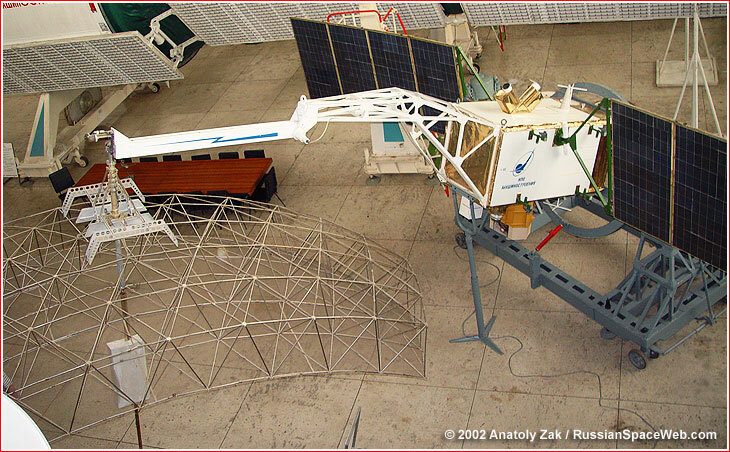 Above: A full-scale prototype of the Kondor satellite at the demo room of NPO Mash in Reutov near Moscow. Please help to keep this site open and current! Pace of our development depends primarily on the level of support from our readers. On May 19, 2006, the South-African Ministry of Defense awarded a contract to the Russian company NPO Mashinostroenia (NPO Mash for short) for the development of a spy satellite with a synthetic aperture radar, capable of all-weather, day-and-night imaging of the Earth's surface. The spacecraft would be based on the company's Kondor (MKA DZZ) project first proposed in mid-1990s. In turn, Kondor derived from a Soviet-era Almaz radar-carrying space station. The Kondor development apparently received a code-name Project Flute within the South-African military and intelligence circles. In Russia, the same project was probably also referred to as 710KS. 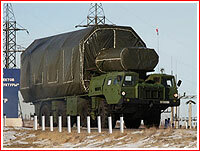 A price tag for the Kondor-E contract was cited at around $108 million. After the project Flute had first surfaced, it was believed to be a brainchild of the General "Mojo" Motau, who served as a head of Defense Intelligence at the time. The South-African intelligence reportedly planned to use the satellite for various though unspecified goals, including battlefield reconnaissance. 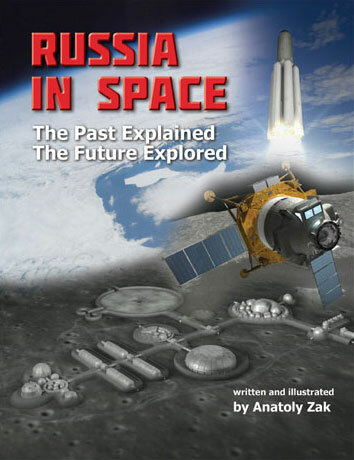 However in 2015, reliable sources in South Africa disclosed to RussianSpaceWeb.com the real driving force behind project Fute and provided a more believable rational for the decision to acquire the Russian satellite. As it turned out, the Flute was a pet project of then president Thabo Mbeki. Mbeki, who is well known for his unscientific view on AIDS and for a number of very controversial political decisions as well as for some eccentric attitudes, also played a key role in getting South Africa to host prestigious World's Cup football championship in 2010 and in forging closer economic ties with Brazil, Russia, India and China, collectively known today as BRICS. Within this context, Mbeki's decision to acquire a high-tech military satellite mainly for prestige purposes looks more understandable even if still irrational. Mbeki apparently believed that having a secret spy satellite would bolster his political standing in the eyes of a top military, cabinet and secret services officials who did know about the project. President Mbeki could also boast about his "all-weather, day-and-night eye in the sky" at African Union summits, where he played a leading role, well-informed sources suggested. However, around 2007, the South-African government apparently froze Project Flute reportedly after the nation's officials had realized that the full control over the satellite and its data would remain in Russian hands and South Africa would depend entirely on NPO Mash for the spacecraft operation. Such an arrangement would likely result in a significant delay of the access to imagery by military users in South Africa after the pictures had been snapped in orbit. In turn, it would dramatically reduce the value of Kondor's photos for the military, which needs up to a minute updates on the situation on the ground. As a result, General Motau was essentially left carrying the can, after the costly program had stalled. Incidently, President Mbeki, who initiated project Flute, resigned as president in September 2008. In response to the closure of the project, NPO Mashinostroenia threatened with a legal action, probably demanding a compensation for already incurred expenses. 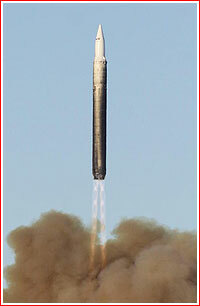 Moreover, the scandal around Kondor-E threatened to derail a planned launch of the South-African Sumbandila satellite on a Russian submarine-based missile. 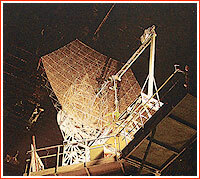 (The satellite was eventually launched by the Russian civilian space agency, Roskosmos). The situation also led to demands within the South African parliament to investigate the affair. Ground control in South Africa? Possibly, in order to address the problem, NPO Mash planned to build a ground station in South Africa, which would control and operate the satellite, industry sources said. Russia would also train personnel manning the facility. 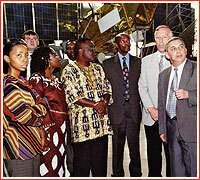 The South African center would have an automated data exchange system with a mission control operated by NPO Mash at its campus in Reutov, near Moscow. NPO Mash planned to subcontract the responsibility for setting up and supporting a secure network to Moscow-based company ZAO KB SvetComputers. The company's team was to be secretly dispatched for a month-long assignment in South Africa to deploy the system. A secure satellite channel, fiber-optic lines and radio communications would be used to transfer information between Kondor's mission controls in Russia and in South Africa. The new arrangement might have jump-started the troubled project, but it also likely further escalated its cost. According to various reports, between 2006 and 2014, the South-African Defense Intelligence channeled from $109 to $259 million through a secret Special Defense Account dedicated to the "development of a strategic information collection capability." It is unclear whether this sum funded any other projects besides Flute. It is still unclear where exactly the ground station for Kondor-E was located in South Africa or even whether it had ever been built. Two best candidate sites are Hartesbeeshoek facility operated by South African National Space Agency, SANSA, and the Overberg Test Range near Arniston, operated by a South African industrial group Denel. Much of the information on the history and finances of the Project Flute became available thanks to the efforts by the Shadow Minister of Defense and Military Veterans David Maynier, a member of the opposition Democratic Alliance in the South African parliament. Maynier long pushed his government for a full disclosure on the Project Flute, which he characterized as "fruitless and wasteful expenditure." Other experts agreed. Keith Gottschalk, a political scientist and a long-time observer of the South-African space efforts could think of only few possible roles for a spy satellite, which could not accomplished with aerial drones or by other means. Such tasks included monitoring fish poachers and other illegal activities in some remote sections of the nation's territorial waters not reachable by drones. The radar images could also help to prevent surprise attacks against South African peacekeepers in troubled regions of Darfur and Congo, particularly, if the satellite's radar signals could penetrate through thick foliage of the jungle. "Right now the government is going through austerity, with most departments having budget cuts," Gottschalk wrote to the editor of this web site in October 2014, "The South-African Defense Forces got an increase less than our six-percent inflation, so they in effect suffer a two-percent budget cut with many urgent priorities for funds other than reconnaissance satellites," Gottschalk said. Obviously, as long as the South African government remains largely tight-lipped about the Project Flute, it also had no chance to provide a rational for the program. The South-African Kondor-E was scheduled to enter orbit following a demo launch and in-orbit testing of the first Kondor satellite. A Strela launcher successfully put the original Kondor into orbit on June 27, 2013. NPO Mash even delivered to South Africa a self-portrait of the Kondor satellite taken by its onboard camera and confirming that the satellite's radar antenna had deployed. 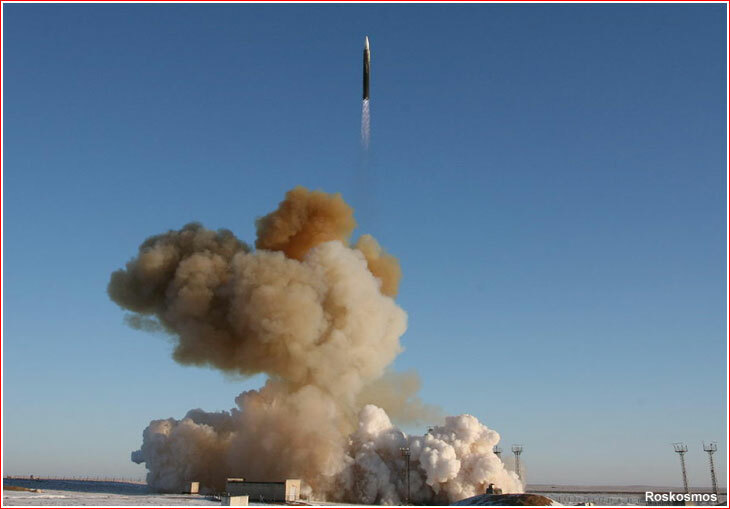 However at the beginning of November 2013, Kazakh media reported that the launch of Kondor-E had been postponed from November 27, 2013, to 2014. 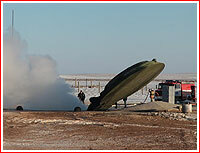 By the beginning of 2014, the launch of Kondor-E was expected on March 19 of that year. However on February 25, the Interfax-AVN news agency reported that the mission would have to be postponed by at least several months. 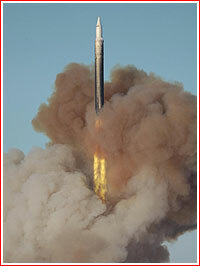 By the end of March, the launch was postponed until the end of June 2014, Interfax-AVN reported. On July 2, the same source said that Kondor-E would fly in the Fall. The launch was expected as early as September 30, but was postponed yet again. In mid-October 2014, the launch was expected on December 18. On October 15, a South-African delegation headed by the Minister of Science and Technology Naledi Pandor visited Roskosmos to discuss space cooperation between two countries. According to the Roskosmos' press-release, two sides "touched upon the issues of necessity for the development of a satellite network for remote-sensing of the Earth and problems of cadre for the development of space industry in Russia and in South Africa." On October 22, 2014, during a meeting of a Portfolio Committee on Defense and Military Veterans, the South African Defense Secretary Sam Gulube confirmed that a military satellite was "on track" for launch, essentially revealing the South-African connection to the Kondor-E project. 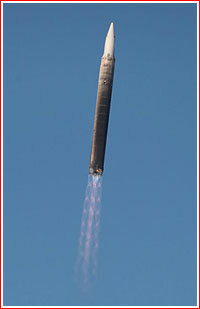 By December 12, Kondor-E was loaded with propellant at Site 31 and transferred to Site 2A for the final preparation for launch, TSENKI announced. At the time, the launch was promised in the second half of December 2014. According to Roskosmos, the launch of the spacecraft identified as Kondor-E No. 2 would take place on Dec. 18, 2014, at 07:55:03 Moscow Time from Site 175 in Baikonur. On December 18, 2014, preparations for the launch of the Kondor-E satellite apparently came as close as 10 minutes before a scheduled liftoff at 07:55:03 Moscow Time. According to the RIA Novosti news agency, the countdown for the launch of the Kondor-E came as close as 10 minutes before a scheduled liftoff on December 18, at 07:55:03 Moscow Time (04:55 GMT). 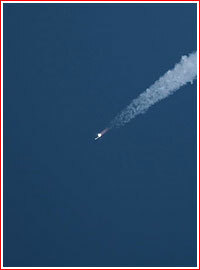 However a command to switch power supply of the satellite's launch vehicle from ground equipment to an internal battery was not received by onboard computers, Interfax reported. As a result, the mission had to be postponed for 24 hours. By the end of the working day on December 18, Roskosmos announced that after additional checks, the source of the problem had been found and resolved. After reviewing the completed additional work, the technical management recommended to conduct the launch on a reserve date -- December 19. This proposal was accepted by the the agency's commission, Roskosmos said. According to TASS, the launch attempt will take place at 07:43 Moscow Time. According to Russian space historian Igor Lisov, the Kondor-E was delivered into the same orbital plane with its predecessor -- Kondor satellite -- launched in 2013. Such an arrangement would probably allow a pair to work in tandem. During 2014, industry sources said that the Russian space agency, Roskosmos, had a change of heart toward the Kondor project, apparently, after the first satellite had demonstrated excellent performance in orbit. After years of non-involvement into the Kondor's development, Roskosmos requested around $65 million for five years beginning in 2016 for the Kondor-FKA project, where "FKA" stood for the Federal Space Agency. Essentially, the program would fund a civilian version of Kondor-E. The Ministry of Agriculture and the Ministry of Emergency Situations, MChS, were expected to be main customers of the satellite's data. According to Roskosmos sources, the requested funding would procure two spacecraft based on Kondor-E and equipped with an S-band radar. Both satellites would be launched by Rockot boosters with Briz-KM upper stage from Plesetsk in 2018 and 2019. The satellites would be capable of producing images with a resolution no lower than 1-1.8 meters on individual photos covering an area of 10 by 10 kilometers, when operating in the so-called "spot" survey mode. During a continuous imaging, Kondor's radar would be able to cover a swath of the Earth's surface 20 by 50 kilometers, revealing objects from three to seven meters in size. The spacecraft was expected to function in orbit for no less than five years. In January 2015, a poster on the online forum of the Novosti Kosmonavtiki magazine reported that the Kondor-E satellite had been operating and delivering its first images, however some of its components had showed problems requiring to activate backup systems. The issue was apparently traced to a programming error, which was resolved before the end of the month. 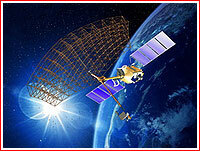 However, at the beginning of April 2015, new reports surfaced about problems with data delivery from Kondor-E. On May 14, the Interfax news agency quoted an unnamed source as saying that the satellite had successfully entered service and had been transferred to its customer, however had suddenly failed at the beginning of the second decade of April. Magnetic storms in space on April 10 and April 15 were apparently considered as a source of problems, Interfax said. Following the Interfax' report, RIA Novosti news agency got an official reaction from a spokesman for NPO Mash, the satellite developer. He admitted the existence of technical problems onboard Kondor-E but also said that Russian engineers in cooperation with the satellite's customer had been working on resolving the problems according to a plan extending until the end of May. A spokesman also said that the spacecraft had proved its capabilities and the customer had been satisfied by the quality of images delivered by the satellite.